Enjoy mountain and city views from this 1 bedroom corner end townhouse unit. Your parking stall and large storage room are conveniently located on the same floor. Be the first to live in this larger one-bedroom unit at the Anaha with its amazing 7th floor amenities. There is no reason to pay for gym or club fees when you have billiards, beach volleyball, a chef's kitchen, massage rooms, a golf simulator, putting green, theater, pool and much more all included in your maintenance fees. Catch the vibe of Kakaako living and enjoy restaurants, movie theaters, the beach, shopping and Whole Foods within walking distance. 1 Parking Spaces. Assigned Parking Space, Guest Parking. BBQ, Club House, Concierge, Community Exercise Area(s). 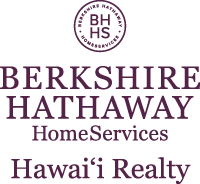 I am interested in 1108 Auahi Street UNIT 616, Honolulu, HI 96814. Sign up for Inside AccessTM to view recent sales near 1108 Auahi Street UNIT 616.